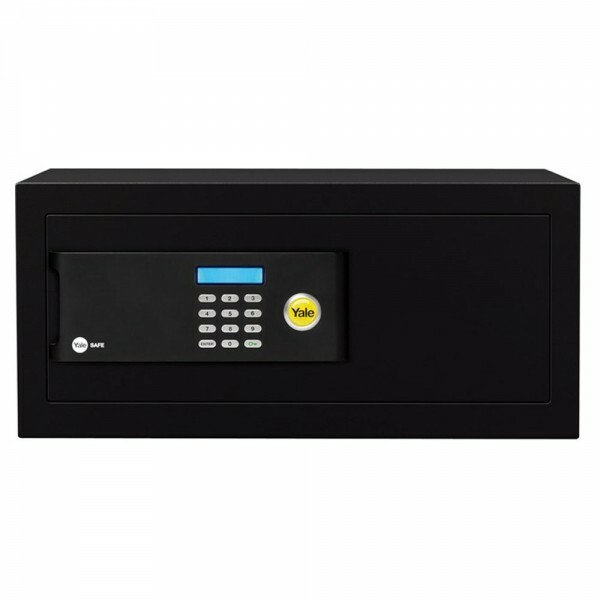 The Yale premium laptop safe is designed to protect cash to the value of £1 000 & valuables of £10 000. It has 22mm electronically motorized locking bolts and 6 lever double bitted manual override lock. 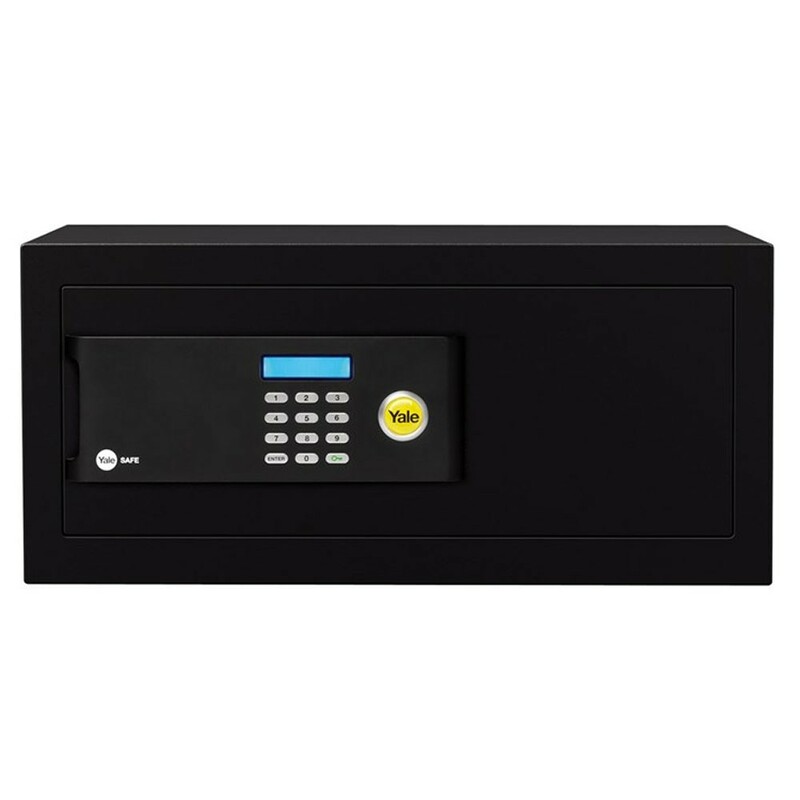 The safe has a laser cut door with a reinforced hinge and a mounted opening spring. The digital keypad has a blue backlit LCD display and one can setup to turn on or off the display code feature. It has a resettable 3 to 8 digit user-code a low battery warning feature. The Yale premium laptop safe is supplied with 2 keys.